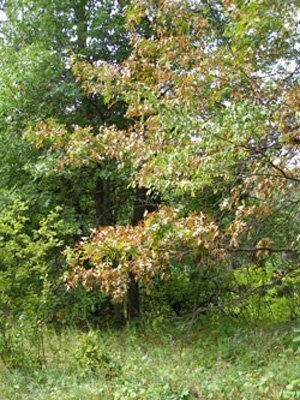 Anthracnose is a fairly common disease among a variety of shade trees, oaks among them. It is caused by a variety of fungi, each specific to the type of tree it affects. Symptoms can occur on a variety of deciduous trees besides oaks, including sycamore, hickory, walnut, maple, and linden. Oak anthracnose is caused by the fungus called Apiogromonia quercina. Even though the symptoms can look serious, the damage that anthracnose causes is usually minimal and rarely kills a tree. Anthracnose can infect all varieties of oaks, but post oaks seem to be more vulnerable than others. The symptoms of anthracnose can vary from small, round or irregular tan, brown, or black spots, to larger blotches in the area of the leaf veins. 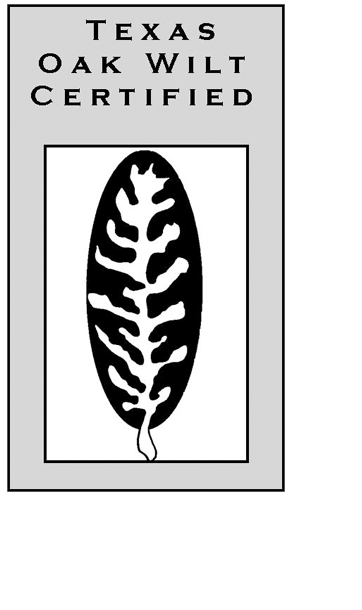 If the leaves are young, their shape may become distorted. If the infection is very heavy, the young leaves will die and drop. If the infection occurs very early in the spring, and the new leaves die and fall, more new leaves may come out. The leaves have the general appearance of being scorched. The most severe symptoms are usually on the lower branches, and then the infection travels upward in the tree. The Apiogromonia quercina fungus lies dormant in the infected leaves throughout the winter. But come springtime, the fungal spores become airborne and infect the newly developing leaves. The leaves die soon after infection, and then secondary spore creation occurs. As long as weather conditions are favorable to the growth of the fungus, this cycle will continue. The damage is most severe when the temperature is springtime warm and there is heavy dew or light rain during the time when the leaf buds are opening and the new leaves are unfurling. The spores are spread when the raindrops splash on them and carry them from place to place. When summer comes on, and the weather turns hot and dry, the anthracnose will subside or clear up. 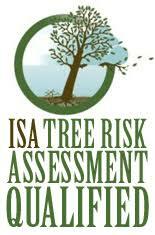 The first thing you should do is to call your local certified arborist to come out and take a look at your tree. The arborist will ascertain what specifically is wrong with your tree. There are other diseases or problems that can appear similar to anthracnose, so it is important to have a professional accurately diagnose the issue. Then he or she will be able to effectively treat the anthracnose. Oak wilt, which is a much more serious tree disease, appears very similar to anthracnose. Therefore, it is very important that you know for certain what you are dealing with. One thing you can do to help prevent anthracnose from spreading or returning to your tree is to keep the fallen leaves raked up all the time. The Apiogromonia quercina fungus survives from year to year in the fallen leaves. So raking them up and properly disposing of them will be a big help in preventing the problem the next spring. Do not wait for all of the leaves to fall before raking them up. Do it every couple of days or so to keep them cleaned up as they fall. This will help to prevent the spread of the disease. 1. Proper pruning of the affected tree. He or she may need to trim off some infected twigs. 2. Applying an appropriate fungicide. This is rarely needed, because anthracnose seldom does that much damage to a tree. But your arborist will know if and when the use of a fungicide is appropriate. 3. Instructing you on proper care of the tree to increase its overall health and vigor by proper watering and/or fertilization. Depending on the type of oak, mulching may be appropriate. Here again, your arborist will know what you should do. 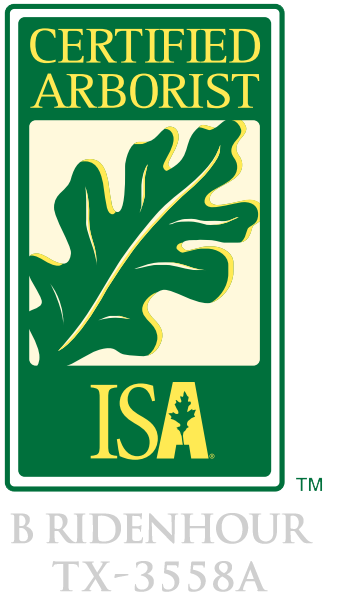 Working to keep your oak tree as healthy as possible to help to prevent not only anthracnose, but a host of other tree diseases and insect infestations also, is vitally important to helping your oak tree to thrive. A tree whose health is already compromised will have a harder time of recovering from an outbreak of anthracnose than will a vigorously healthy tree. If the anthracnose infection is severe enough, the tree may lose all its leaves. When it does, it becomes weakened. 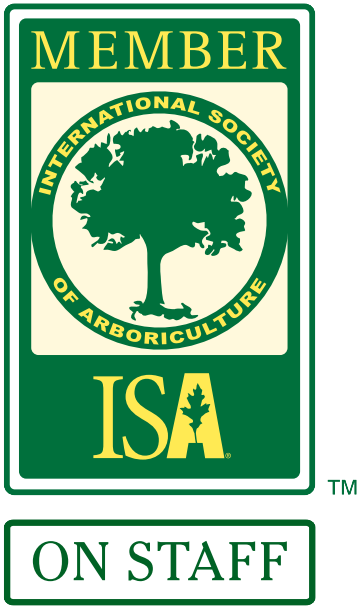 You will need to consult with a certified arborist to determine what steps can be taken to boost your tree’s health and vigor so that it does not fall victim to other disease or insect invasion at this time. If you have other types of trees in your yard, or on your property, you won’t want the anthracnose to spread to them. Your arborist can help you in preventing the spread of the fungus. When you are fortunate enough to have one or more mature and healthy oak trees on your property, you will want to do everything you can to maintain their health and vigor. Trees are so important to our lives and to our planet’s ecosystem that their health and integrity can’t be underestimated. Trees provide shade, protection, shelter, and a home for many birds and animals, food, oxygen, they remove toxins from the air, they prevent soil erosion, and they are lovely to look at. When you stop to consider how the planet’s climate and ecosystem has been altered because of deforestation, you will realize that protecting and caring for the trees on your property, whether you have one or a hundred, is all-important for your corner of the world. If everyone thought, oh, it’s just one tree. One tree doesn’t matter, soon there would be no trees left. So recognize the importance of your trees and care for them in such a manner that will keep them healthy and vigorous for many more years to come.